Since 1919 Continental Pipe & Tube has specialized in machines for cutting round pipe and tube. We offer a wide selection of machines to meet your specific needs and believe our products are the best in the rotary cutting marketplace today. Continental has grown from a 5,000 square foot facility in Chicago to 20,000 plus square foot facility located in Addison, Illinois. Continental machines are used in many industries for cutting and grooving pipe and tube, from automotive, lighting, and processing centers to farming, furniture, fencing, heating and refrigeration. 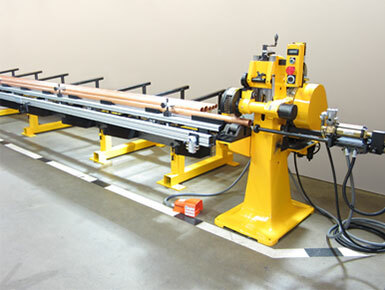 Any manufacturing process that requires cutting round pipe or tube can use a Continental machine.